In a class of its own. 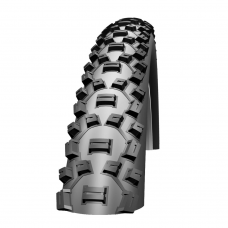 All round favorite and for many years a serial winner of MTB tyre tests. Why? Nobby Nic is unbelievably versatile. The tread offers unbeatable control in any conditions. Thanks to its compounding and construction at the highest Evo level it is light and fast in competition. This astonishing performance makes it a true ‘Allgrounder’.